Park from 11 a.m. to the end of the Frostival. Courtesy of Frostival. After Christmas, spring seems a long way off and many are experiencing the winter blues. Instead of complaining about the cold and loads of snow, Fargo-Moorhead has partnered to help bring life and fun into this January season through the festival, The Frostival. The Frostival, an event to celebrate winter activities, is kicking off Friday evening and continuing all day Saturday. 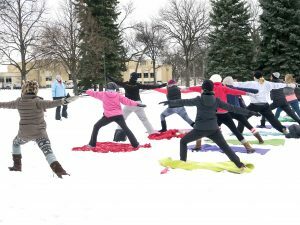 The Fargo-Moorhead Convention and Visitor’s Bureau, creators of North of Normal, have partnered with the park’s departments of the greater Fargo-Moorhead area to bring the community together to embrace winter activities. According to the Frostival website, many community city members don’t know about the myriad activities available in Fargo, Moorhead and West Fargo. To change this, Frostival is scheduled to happen during a weekend in the dead of winter. Camrie Vlasak, a senior at Concordia learned about the Frostival via Facebook. She will be one of many attending the celebration. “One of the biggest things that draws me to Frostival is that it is a local event. I love supporting my community and bringing us all closer together,” Vlasak said. 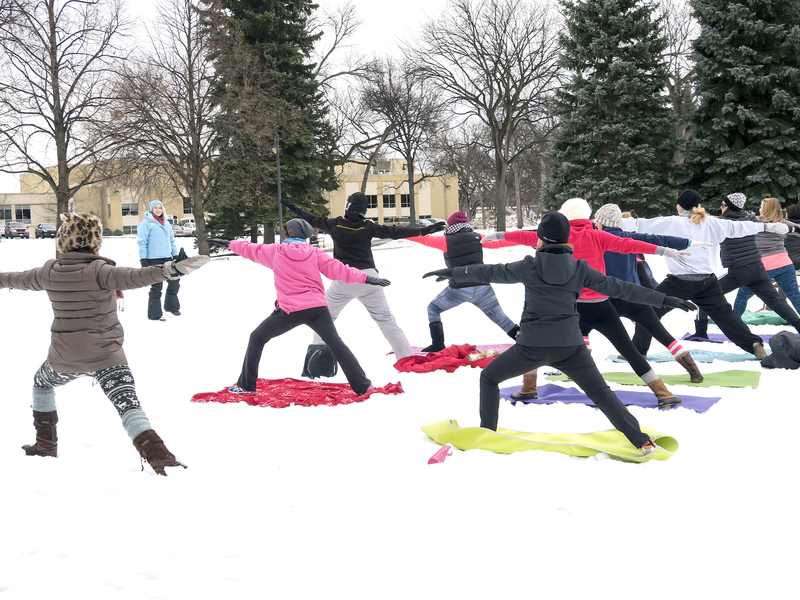 The festival includes games and activities such as cardboard sled races, an ice sculpture park, cross country skiing and snowga (yoga in the snow). Most of the events and activities are free. The Frostival is for everyone. Danni Riley, the visitor center manager of the Epic Convention and Visitor’s Bureau, encourages Concordia students to check out the Frostival. She is excited about the opening kickoff from 6 to 9 p.m. on Friday, at 409 Broadway Downtown Fargo. The kickoff will include live music from Tripwire, horse-drawn carriage rides, s’more making, coca cook-off and food from a variety of venders. The atmosphere will be friendly for students of all ages, Riley said. Then, the Frostival will continue all day Saturday from 8:30 a.m. through 11 p.m. Events will be held throughout the Fargo-Moorhead area. Check out frostival.com for location information. No car? No problem! Public transportation is free for Cobbers with a student ID. This is the second year Fargo-Moorhead will be celebrating the Frostival. Last year over 2,000 people participated in the weekend’s activities, and this year the organizers expect an even bigger turnout, Riley said. Ellen Halvorson, administrative assistant of Student Success and Retention at Concordia, would like to see more Cobbers participating in the community’s celebrations. She encourages students to make connections off campus by engaging in community activities. Halvorson believes it is important to be involved on campus and to also engage in the community that Concordia is a part of. Going to community events like the Frostival is a great way to meet new friends, considering there are over 30,000 college students in the area. Riley, Vlasak and Halvorson all agree, Cobbers should go to the Frostival to make connections and memories.